WOW! 365 Sudoku puzzles in one book! 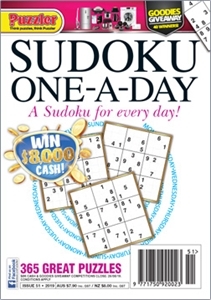 A fresh Sudoku for every day of the year, or just lots of puzzles for you to test your skills. Puzzles get harder as you work your way through, so there's always a new challenge ahead.